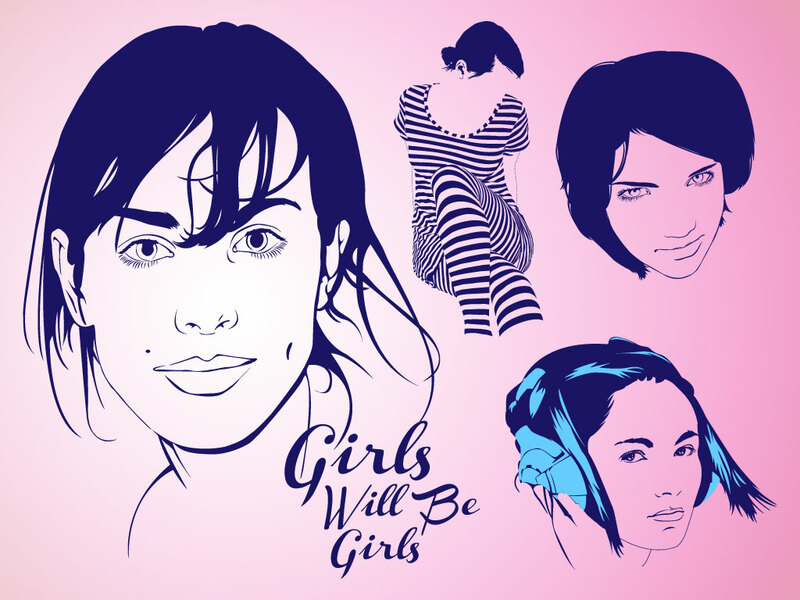 This vector pack comes with illustrations of three young girls, an artistic trace with stripes and text that reads “Girls Will Be Girls”. Download these great vectors for your fashion, lifestyle and urban projects. Zip file comes with AI, PDF and JPEG file formats. Tags: Face, Fashion, Girls, Lifestyle, Portrait, Women, Young.